You will find us on the Neuse River, just off the Intracoastal Waterway at about mile marker 180. The entrance to the Pierce Creek channel is Marker 2, at 35º 02.309’N, 76º 39.266’W. You’re home at Sea Harbour when you reach 35º 02.462’ N , 76º 40.038’W – that’s the outer end of A dock. 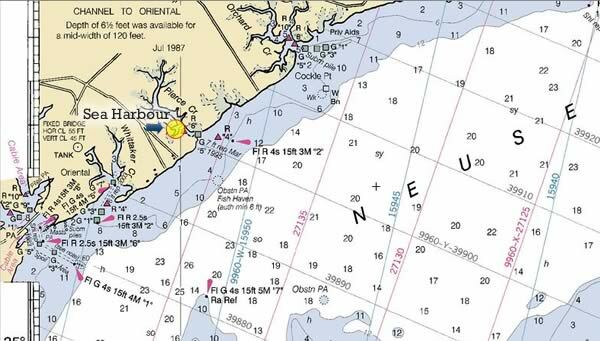 While these coordinates are a good start, our lawyer says we have to tell you they are not for navigational purposes.